Since I began blogging for over a year now, the whole world suddenly laid bare before me. Waiting to be explored. I never thought that there are so much treasures to find. I became a blog addict. Sounds negative word, but for me it has been positive. Suddenly I have friends all over the world young and young once like me:) But each and everyone has made my life more meaningful and colorful. I learned a lot and seen a lot through other blogs. And not only that, I developed myself too in many areas of my life. But, the negative of blogging is it takes much of my time because after work I use hours in reading blogsposts, writing my own and editing pictures to publish. Result: my stamina went down to almost zero level. Being fifty, I have to think of my health. So I decided to do something about it. It does not mean that I am going to stop blogging. But maybe going to use less hours on it because I began going to the gym. Three times a week of training, Zumba dancing, Pilates and yoga. And I am really enjoying it. And that is for my body! But wait a minute. How about my spiritual life? Good to be reminded by God that as I take care of my physical body, I have to take care of my soul and spirit too. Yes, I found the secret! To be successful in everything I do whether blogging, handcrafting, photography, training , in my job or in evey area of my life...I should be obedient to the word of God. That I need God's wisdom to set my priority straight! How about you? Are you a blog addict too? Hello out there! Meet my new project Sara Zebra. I found her from my hobby book , but my Sara Zebra is a little bit longer. Don't you think? This will be the right place for her. Anyway, my not so colorful sunrises this week! And sunsets! But I still love the variation of them. Blue one. Found these flowers at my mother-in-laws house. And lastly, dinner prepared by my youngest daughter for us. Salmon with cream and vegetables. Hmmmn. It was really yummy. 2 kgs 7:1-2 Elisha said, " Hear the word of the Lord. This is what the Lord says: About this time tomorrow, a seah of flour will sell a shekel and two seahs of barley for a shekel at the gate of Samaria." The officer on whose arm the king was leaning said to the man of God, " Look, even if the Lord should open the floodgates of the heavens, could this happen? " You will see it with your own eyes," answered Elisha, " but you will not eat any of it"
So to see miracle, one has to believe! 2 kgs 1: 13-15 So the king sent a third captain with his fifty men. This third captain went up and fell on his knees before Elijah.
" Man of God," he begged, " please have respect for my life and the lives of these fifty men, your servants! See, fire has fallen from heaven and consumed the first two captains and all of their men. But now have respect for my life.!" The angel of the Lord said to Elijah, " Go down with him; do not be afraid of him." So Elijah got up and went down with him to the king. Being humble always helps and moves the hearts of those who encounter him/ her. Jgs 3: 1-4 These are the nations the Lord left to test all those Israelites who had not experienced any of the wars in Canaan ( he did this only to teach warfare to the descendants of the Israelites who had not had previous battle experience): the five rulers of the Philistines, all the Canaanites, the Sidonians, and the Hivites living in the Lebanon mountains from the mount of Baal Hermon to Lebo Hamath. They were left to test the Israelites to see whether they would obey the Lord's commands, which he had given their forefathers through Moses. It is only in adversity God can test our faithfulness. It defines who we are and whom we trust. Dt.17:18-20 When he takes the throne of his kingdom, he is to write for himself on a scroll a copy of this law , taken from the priests, who are Levites. It is to be with him, and he is to read it all the days of his life, so that he may learn to revere the Lord his God and follow carefully all the words of this law and these decrees and not consider himself better than his brothers and turn from the law to the right or to the left. Then he and his descendants will reign a long time over his kindom in Israel. It means reading Gods words and obeying them brings blessing. Ps.147:5 Great is the Lord and mighty is his power, his understanding has no limit. If we lack understanding we can come to God so that He can impart us knowledge and wisdom. Phil 3:4-6 though I myself have reasons for such confidence. If anyone else thinks he has reasons to put confidence in the flesh, I have more: circumcised on the eight day, of the people of Israel, of the tribe of Benjamin, a Hebrew of Hebrews; in regard to the law, a Pharisee; as for zeal, persecuting the church; as for legalistic righteousness, faultless. It is through Christ alone we can be saved. "He will command his angels concerning you, and they will lift you up in their hands, so that you will not strike your foot against a stone." So not all people who uses words from the Bible can be trusted. We must always be guided by the Holy Spirit to discern what is from God and what is a con. Mt 11: 28-30 Come to me, all of you who are weary and hardened, and I will give you rest. Take my yoke upon you and learn from me, for I am gentle and humble of heart, and you will find rest for your soul. So that is God's words in the month of February. appearances everyday. They never fail to enchant me. So I keep capturing and marvelling of the beauty of God's creation. God's handpainting everyday! And so with the words. They have beauty too and inspires many. So hope you enjoy watching my skies and reading the quotes that goes with them. in the sight of God and men. and yearns better returns than gold. Lots of celebration in the month of february for me. 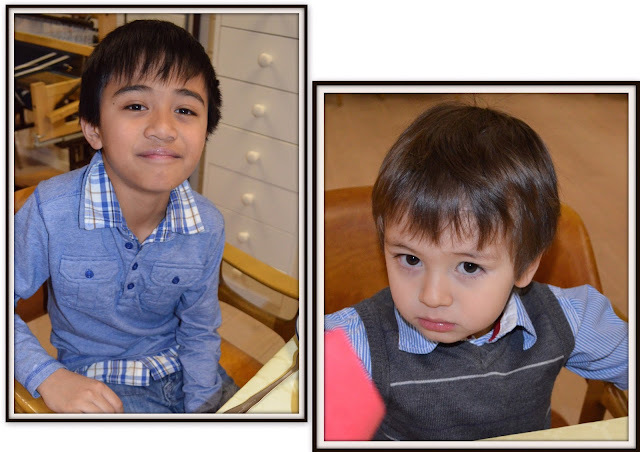 Mother's day in Norway, Valentines Day and birthdays. So calorie intakes had been on top. Oh my! Last celebration I attended until now was my older sister's birthday. And when it comes to cooking and decorating, she is the best. Just take a look! Meet my sister Lourdes! The lady in pink. 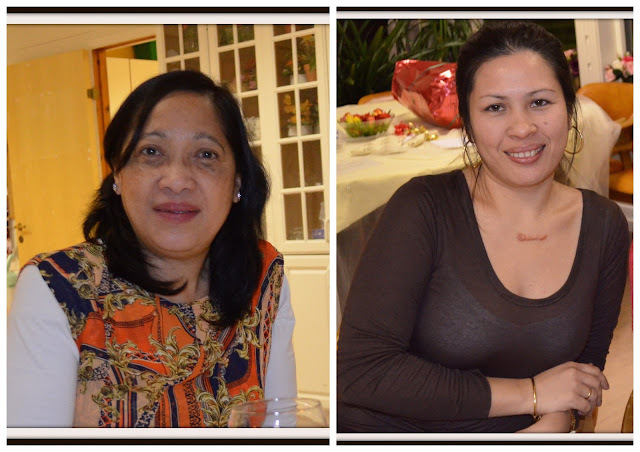 This is Otelie my sister's mother- in -law and her friend Reidun! She invited my friend Lillan too! And then come the younger generations with the celebrant. The beautiful couple, Geir Yngve and Anja who touched our hearts with their song number. I was captured by the love look in their eyes! Let us not forget the men! But anyway, its calorie bomb time! Let us see what they prepared for us! Pancit as always, for long life! Vegetables to go with the meat dish . 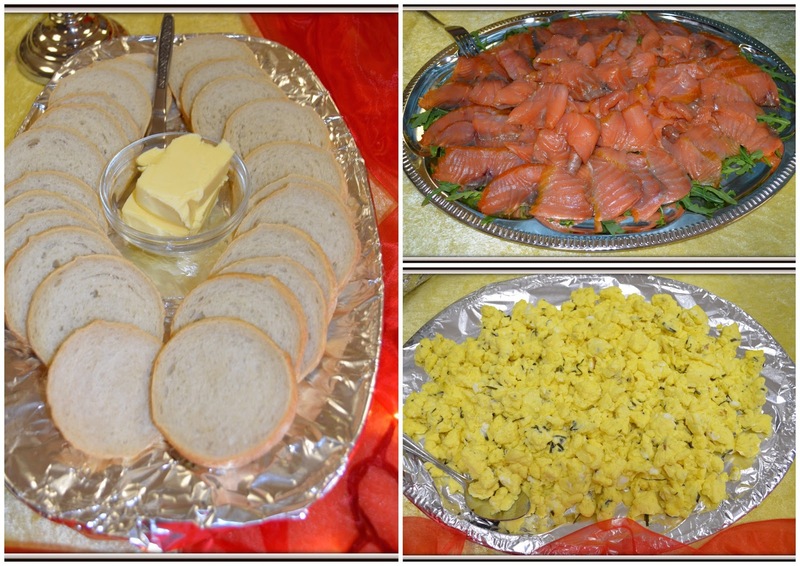 Cold cuts salmon, scrambled eggs with sliced bread. And the most important of all. The rice! As you can see, they really prepared so much foods. Many had been invited but couldn't come. We were I believe just 20 persons. And to burn all the calories, my brother -in -law made us join the games he prepared. and then put a thread into the needle's eye, pull out again and run to the next contestant. You can just try putting a tread into a needles eye after turning around five times. The girls were so dizzy aftrewards, but had fun. But it is now finished yet. The next game is to eat 3, 4, and five pieces of biscuits. Not easy concerning all the food intakes we had done minutes before. After that is to blow a ballon later until it explodes. Well, after burning some calories, time to eat again the cakes that my sister and brother -in -law baked. Happy Birthday to my sister! Thanks for everything! Well, we couldn't eat all the cakes, so my sister told me to serve the cakes to the elderly the day after. Guess what! They were so thankful! Bye for now! Thanks for dropping by! Be happy or be sad?